With a playoff run out of the picture, will Nikola Pekovic play out the rest of the season? The Timberwolves aren’t making the playoffs. Let’s put that idea behind us. The Wolves underachieved this year. It doesn’t matter how many more games they win or lose. Making the playoffs this season was a benchmark – the benchmark – for that nebulous but real concept known as “success.” And this season, the Wolves were unsuccessful. I’m not going to get into why the Wolves failed. We’ve talked all about the draft picks, free agent signings, the failings of the second unit, Adelman’s rotations, Barea over Rubio, close losses, and everything else, ad nauseum. Lots of Wolves fans will check out. It’s no secret that interest in the team waxes and wanes with the team’s highs and lows. When the team is winning, fans take interest. When it isn’t, they don’t. This isn’t an indictment of fair-weather fandom. It’s just human. The real question is whether the Wolves will also check out as a team. I watched Royce White play basketball tonight. Eagan… and yes I'm playing. A few years back, Harrison Barnes was supposed to be The Next Kobe. Expectations have since dropped, but his NBA career is off to a solid start. I knew I wasn’t [completely] overreacting to that bad loss on Wednesday night. 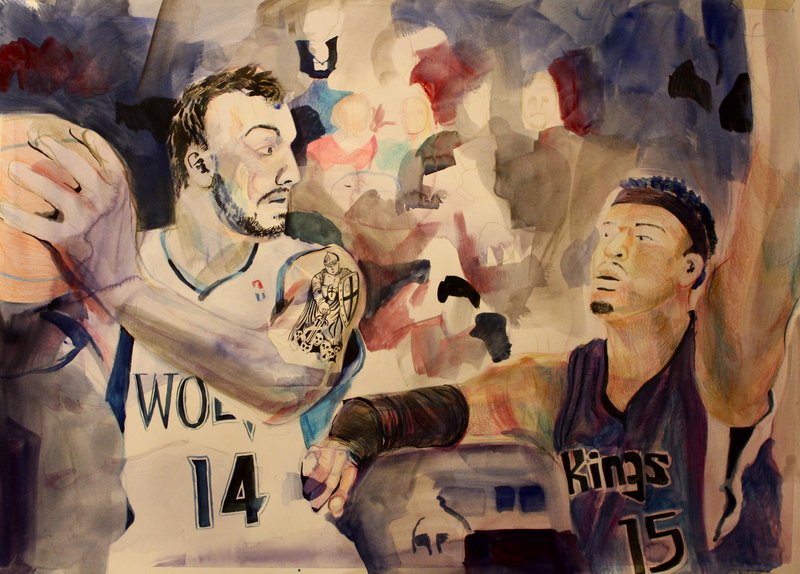 Despite the injuries that have overhauled the Wolves starting unit, the team still has enough talent and grit to play competitive basketball. “Competitive basketball” would have prevailed against the Bobcats that night. Last night’s game was fun to watch because expectations were low and the game remained in doubt into the closing possessions. Unfortunately, the comeback was incomplete and the Warriors prevailed. The “Good Job. Good Effort.” feel to this loss was on clearest display on the game’s pivotal possessions. Dante Cunningham had just pulled down one of the most impressive offensive rebounds I have ever seen. He FLEW through the air from the top of the key and collected Luke’s missed trey at a ridiculously high point. Cunningham was then fouled and, after a Warriors timeout, hit a pair of free throws to cut the deficit to 3 points with under 3 minutes to play. Golden State ran a high ball screen for Jarrett Jack (Steph Curry had fouled out of the game) with David Lee being the screen and roller. Cunningham defended the entire play perfectly, even anticipating Lee’s spin move to a lefty turnaround. Lee somehow managed to make the shot. Tip the hat to Lee, because he played a great game against a slightly-overmatched team. Andy G and I are starting a series on players you’ll be watching for one reason or another this season on League Pass. Here’s the first installation: Rookies you’ll want to watch on League Pass, and why you/I will be watching them. The first team is below the fold. INBOX: Would You Draft Perry Jones III? Andy G: Chad Ford posted his Mock 8.0 today. Wolves take Fab Melo of Syracuse (!!!) at Number 18, immediately followed by the enigma from Baylor, Perry Jones III. If you know anything about David Kahn, and if you know anything about Perry Jones III, you know that it would absolutely crush our POBO–perhaps to the point of tearful pouting–to have this type of LENGTH AND ATHLETICISM suffer the Adelman Family Veto. Comments Off on INBOX: Would You Draft Perry Jones III? Royce White burst onto the national scene last night with an eye-opening performance against the NCAA Tournament-favorite Kentucky Wildcats. White and Kentucky’s Anthony Davis, who matched up against each other for much of the game, were the two best players of the floor. White ended the night with 23 pts on 9-12 shooting, 9 rebounds, 4 assists, and 1 block. He did have 3 turnovers, but had the ball in his hands almost constantly during the 34 minutes he played. On Iowa State’s first possession of the game, White showed what kind of night it was going to be, taking Davis to the left block, receiving the entry, and making a strong hop move into the middle of the lane and curling in a lefty flip beyond Davis’ outstretched arms. White outmuscled UK’s entire front line several times, using a variety of drop steps and nifty moves to create space and score the ball. Davis was no slouch either, putting up 15, 12, and 5 blocks, but Royce White was the story. 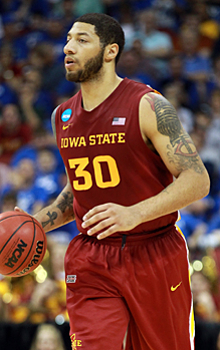 The question is, why hasn’t Royce White been the story– or, at least, a story–all season long?